Movage International is at the forefront of transportation services in New York. 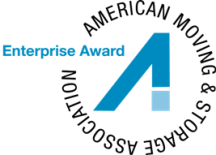 It centers on accountability, inclusive pricing and an impeccable reputation in the industry. Movage International will provide you with seamless service you can trust. Movage International is at the forefront of transportation services in New York. As we say "Up-Front & On-Time Service Worldwide", it centers on accountability, inclusive pricing and an impeccable reputation in the industry. Movage International will provide you with seamless service you can trust. Movage International has developed a finely tuned logistical process out of the highly complex international market. We are at the forefront of transportation services in New York. We offer a complete relocation service and we are continually investing in the latest technology and working practices in order to fulfill the expectations of our customers. We are at the forefront of transportation services in New York. We offer a complete relocation service and we are continually investing in the latest technology and working practices in order to fulfill the expectations of our customers. Our qualified staff of professional movers and fleet of new trucks will meet all of your moving needs. We carefully screen all our employees and regularly train them in the latest packing and moving methods. Our crews utilize state-of-the-art equipment to safely transport and deliver most fragile furniture, fine arts and pianos. 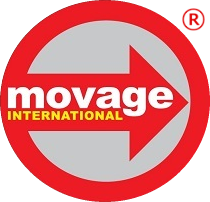 Movage International can safely and cost-effectively coordinate all of your overseas moving needs. We have built a reliable global network of partners that is always at your disposal. Movage International is licensed by Federal Maritime Commission as an NVOCC (Non-Vessel-Operating Common Carrier) to handle all of your international shipping needs and our license number is 023028N. Choosing Movage International for your upcoming move will give you a smooth and stress-free experience to your new home in wherever corner of the world it may be! "Movage came suggested by my Consulate General...On the moving day everything happened as discussed previously...Movage certainly with their thorough packing set the stage for a successful move. " "... and I have to say that with your team nothing was damaged at all! so thank you! " "....We have unpacked almost all of our boxes and nothing is broken and everything was well taken care of by Louis and his moving team. Thank you for everything, we really appreciate your help with getting our stuff on the other side of the world. Take care and have a happy new year. " Copyright 2016 - Movage Inc. All Rights Reserved.